« Surreal Thing – Happy Birthday Dali! 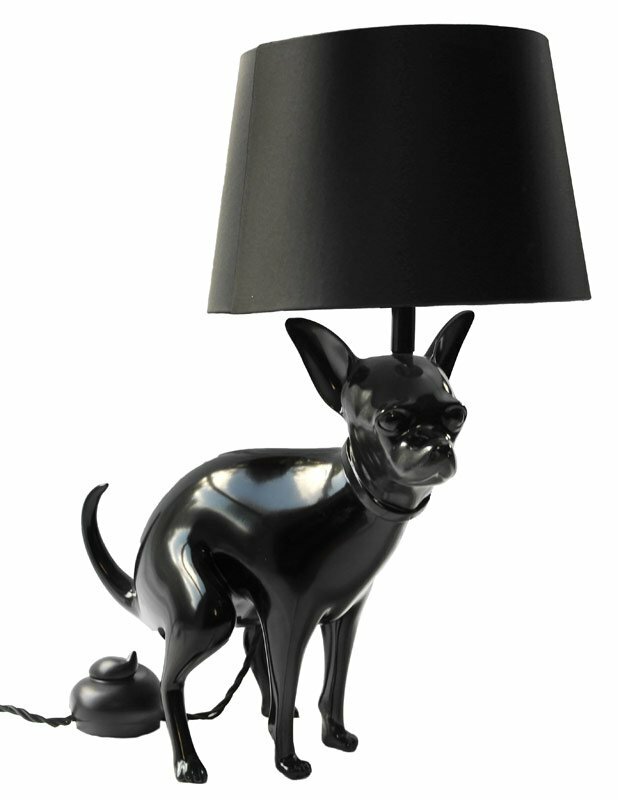 Weird lamps for old! Lighting has always been a valuable consideration when creating ambiance to a room. But if you want to add thrills, drama, laughter or just simply offer an unusual focal point that will get your guests talking (and maybe reeling with shock a bit) – then look no further than these very original and enigmatic lamps! This naughty ‘pooping’ doggie is actually called ‘Good Boy’. He may not be to everyone’s taste, however he’s no shrinking violet in the design stakes. Crafted by UK artist Whatshisname (really) the doggies little brother Good Puppy is also an attention seeker. 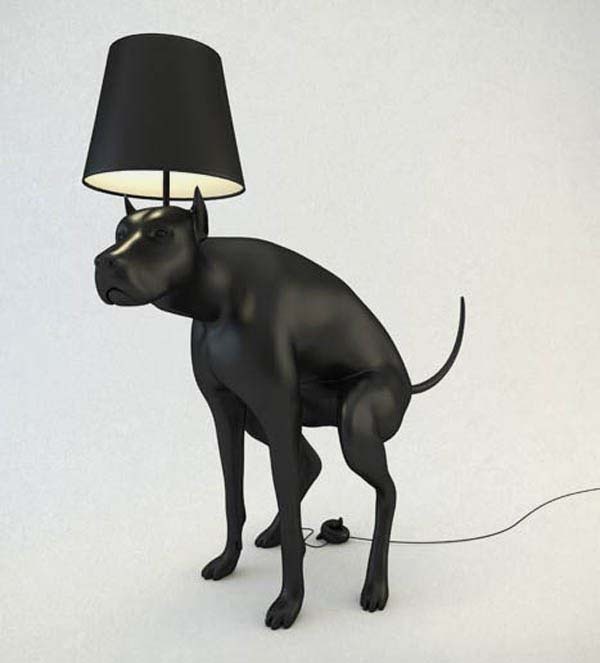 The lamps are floor lamps and to activate them, one must tread on the accompanying dog turd switch. They are available from the artist ‘Whatshisname’. 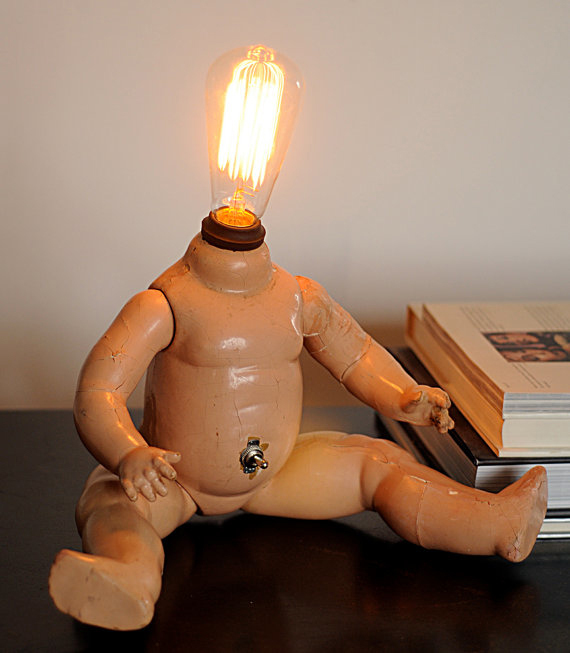 Alternatively you can buy a ready-made weird wired baby lamp from many sources featured here. ‘Out Demons Out’ How to out your demons? Bring them into the light with this cheeky Demon lamp via here He’s made from the skull of a land turtle which was found in the hills of Polk County. 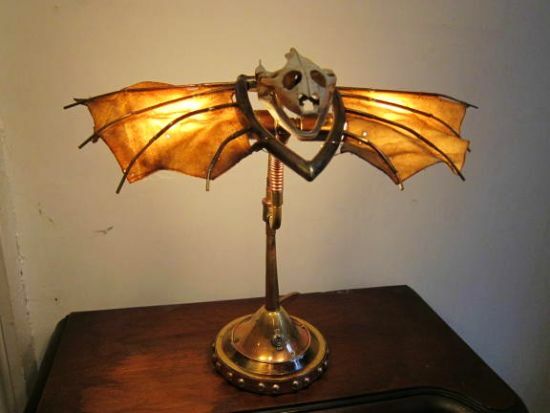 His wings are made from copper and brass tubings and when he’s lit (2 x 15w bulbs) he will creep you out! Maybe not one for the bedroom? Thought dummies belonged in a shop window? Here’s some that have escaped. 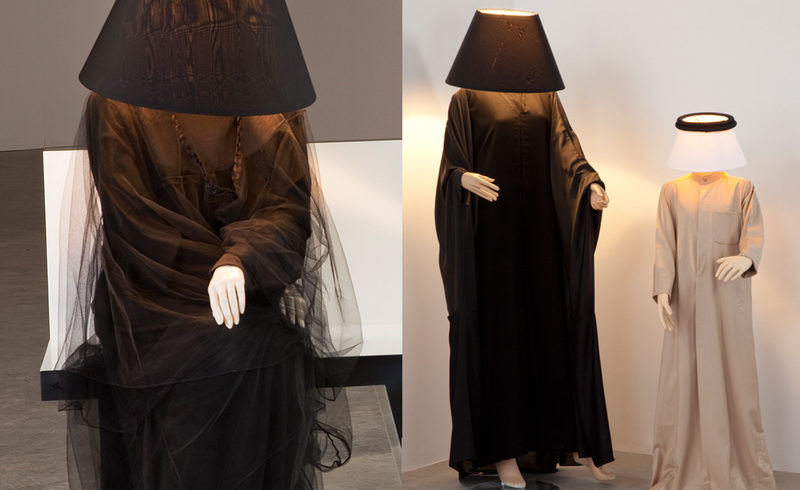 These mannequin lamps from AL-Hamad Design remind me of the veiled mourning statues the Victorians loved so much. However, when anyone puts these babies in the corner they won’t be ignored for long. The male ones talk via a built-in speaker in the torso! All the lamps have a touch sensor in the hand which include three dimmer setting. Shaking hands with them will turn them on – and off! The costumes are dressed in traditional Kuwaiti costume. I think they’re great! Pooping dog images from here and here. 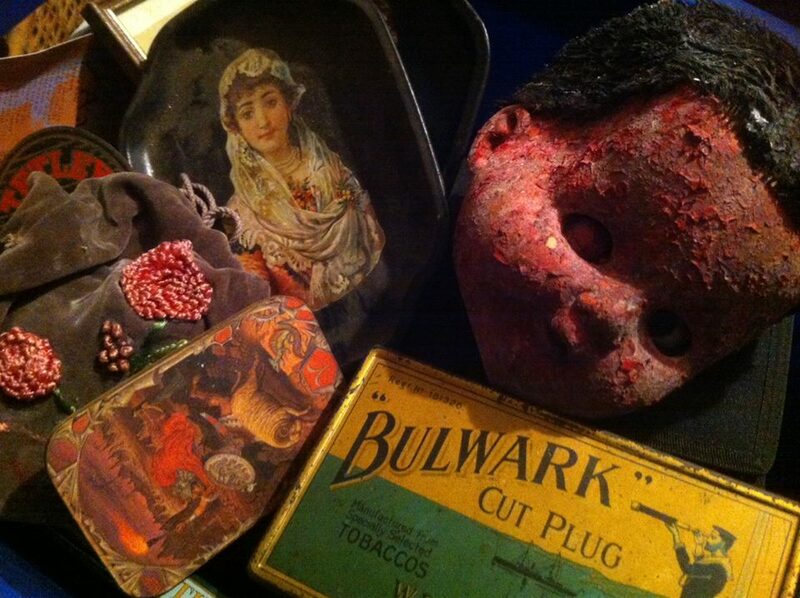 Video ‘How to make a Dolls Head Nightlight mausoleum Statue image from here. Thanks to all. 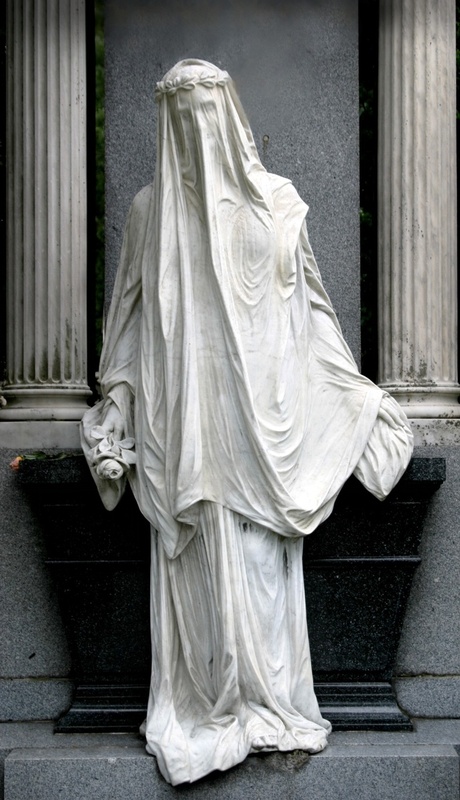 This entry was posted on May 16, 2014 at 2:31 pm and is filed under DESIGN, Uncategorized with tags DESIGN, dogs, dolls, lamps, light, mourning, surrealism, victorian, victorian mourning jewelry. You can follow any responses to this entry through the RSS 2.0 feed. You can leave a response, or trackback from your own site. I have made a few lamps out of 4 or 5 old stacked books with a belt tied around them as the base.